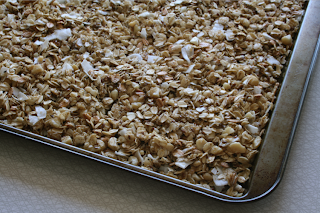 The other day while in Costco, I took notice of the 100 serving box of rolled oats and thought... "I should make some granola". And so I did. John and I used to make it all the time in NY, but have not made since being here. 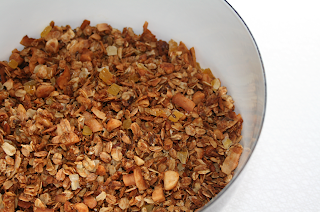 For those of you who have never made granola it is SO easy and it's more rewarding to eat homemade rather than a store bought brand. And you can customize it to suit your own taste. See I am not a fan of cinnamon which is in most granola. I prefer mine more exotic... spicy. Below is my version that I have fined tuned from a few recipes. 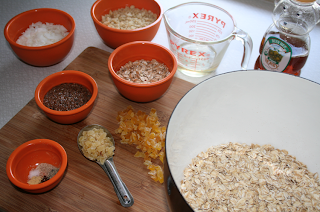 Keep in mind you can omit any of the "filler" ingredients or spice. If you don't want coconut, then replace it with an equal amount of something else. I like mine not so hard and chunky so i don't use all that much honey or sugar. 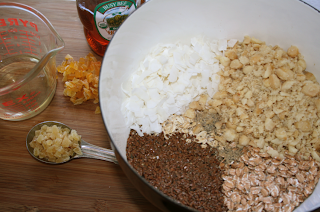 If you prefer a chunkier granola, try doubling the honey or sugar. 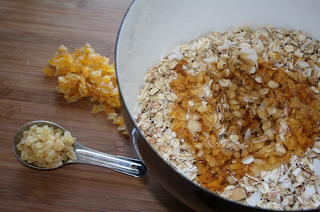 Mix all dry ingredients. Add oil and honey and mix well. Do not mix in the dry fruits. That is your last step. 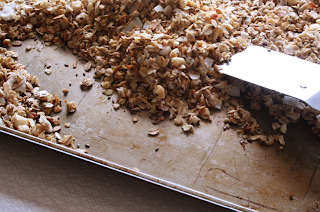 Spread out onto cookies sheets (this fills 2 sheets). Bake for 30-40 minutes making sure to turn the mixture at least every 8-10 minutes. Spread back out on sheet. You'll do this at least 3 times. When it's done it should be a really nice orange red. Remove from oven and let cool completely. 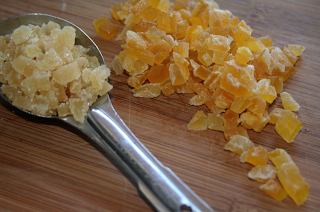 At that point you can add in your dried or crystallized fruit. Mix well and store in an airtight container. Enjoy with soymilk, milk, yogurt or my favorite way... Right out of the container all day long as a snack. yummy!!! I'll have to try out your recipe.